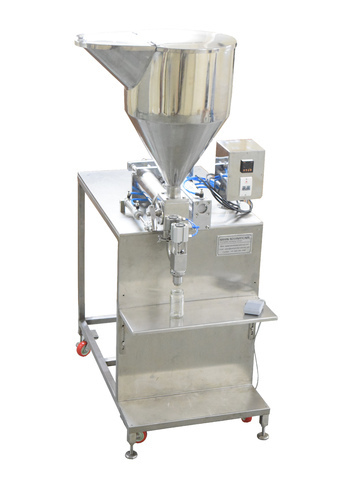 Geared stirrer for homogenous mixing of product. Bonfiglioli/Bonvario make motor only used. Products like Chocolate paste with chocolate chips, toothpaste, flavored syrup, fruit jam, whole fruit squash, pickles, Chana gravy, barbecue sauce, mustard sauce, cheese spread, peanut butter, dosa batter, yogurt, shrikhand, alcoholic drinks, Vitamin drinks, Fruit Juices, Iced, Tea, Edible Oil, Honey, Ghee, ketchup, mayonnaise, flavored milk, chyawanprash, Glue, PVC Solvent, Grease, Floor Cleaner, Paints, Chemicals, Lubricant Oil, glycerin, rose water, pesticides,Nail Polish, Nail polish remover, Shampoo, Hair Oil, Creams, Face wash, shower gel, balm, petroleum jelly, kajal, mascara, lotion, balm, scrub, face mask and many more can be used with this machine.